2013 is finally coming to a close. I know the usual thing to ask is "where did that year go? ", but when you are tied into a work situation you long to be out of, the time can pass pretty slowly. One thing I wanted to do during 2013 was become more involved with textile crafts. Looking back at the list of finished projects, I'm pretty pleased with the output – considering I also sold my apartment and had an interstate move this year. I also took a few short courses, mostly in textile surface design, but for next year I've applied for three larger textile-related courses/programs. It will be slightly terrifying if I end up getting into all three, but as my boss always says "just say yes, and worry about how to do it later". It's mostly a pretty good motto to live by – if a slightly exhausting one! Left: T-shirt bowl, with the pattern of how to create them here. 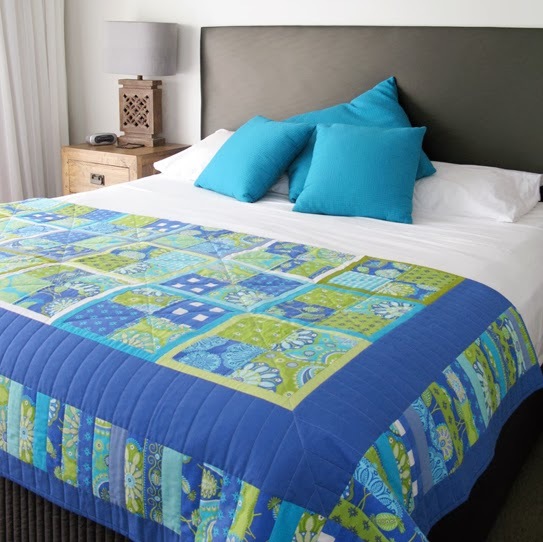 Centre: I finally bound a quilt that's been waiting at least ten years to be finished. Right: Felt tags for my niece's school bag – pattern here. 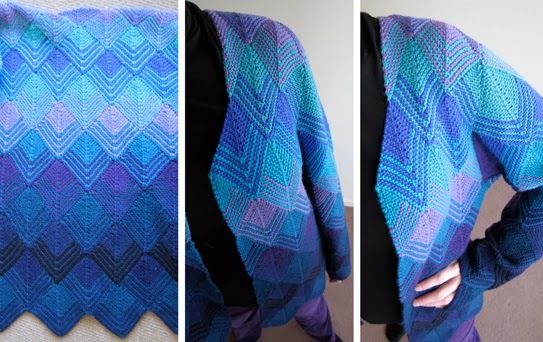 Another project that was years and years in the making – finally finished. Left: My first pair of socks (another pair came off the needles in time for Christmas). Centre: Landscape scarf – you can find the details on my Ravelry page. Right: Crocheted scarf for a friend – details also on my Ravelry page. My first small fabric range on Spoonflower. Mod Mongolian in the Gobi colourway. 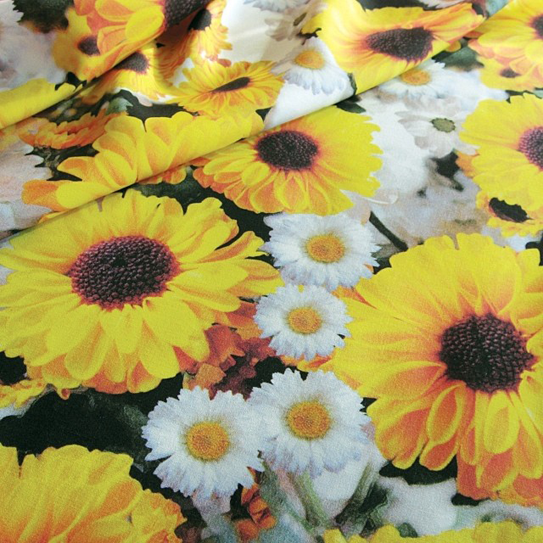 My daisy design fabric from the digital printing course with Frankie and Swiss. 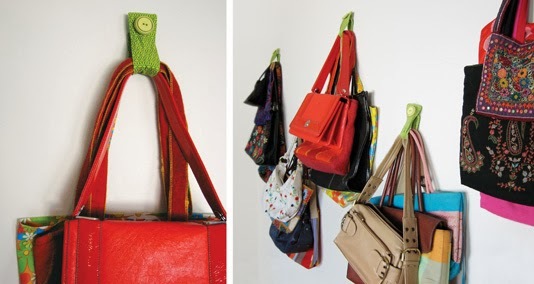 And to finish off – the pattern for my handbag hangers, now available on my Etsy store. There were also screen printed teatowels, the knitted Christmas stockings from the previous post and they're just the projects that got finished... There are still two projects on the needles, two quilts in progress and a set of cushion patterns being completed. I hope you all had a successful crafting year and I wish everyone a happy, healthy, creative 2014. I know it's going to be a cracker of a year! Wonderful achievement; some truly beautiful work. I love the knitted items especially the blue cardigan. Thank you! I'm looking forward to making a whole lot more in 2014. Did you really make the modmongolian into cushions? They're just mockups at the moment, but I am in the middle of making three cushions (and cushion patterns) out of the jade colourway... Should be up on here soon!